Today, I'm feeling bored because I don't feel too good. I think I'm a little sick, but only with mild headaches and occasional sneezes. So, I stayed in my room all day and thought I would do this DIY I learned from MakeUpGeekTV a while back. 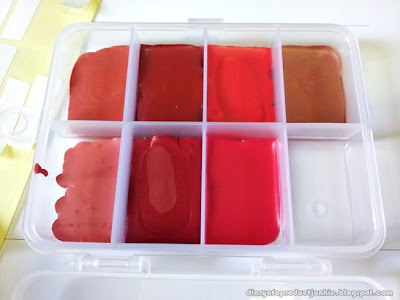 I wanna share with you the steps to achieving your own custom-made lip palette. 1. Assemble all of your items above so they are within an arms reach. This way you won't waste time getting one thing after another. 2. Wash the medicine storage box however you want it, as long as it is clean. 3. Light the candle. Carefully, because you don't want to burn yourself. 4. 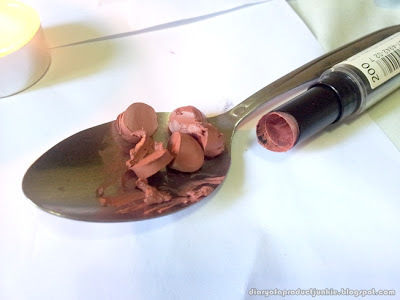 Cut the lipstick and place it on the spoon. 5. 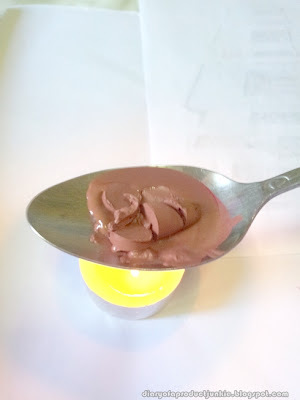 Hold the spoon over the flame about 5 cm, as long as it still has the heat from the candle. You can see it slowly melting. 6. Once the lipsticks has melted, pour it into one of the hole in the medicine container. 7. 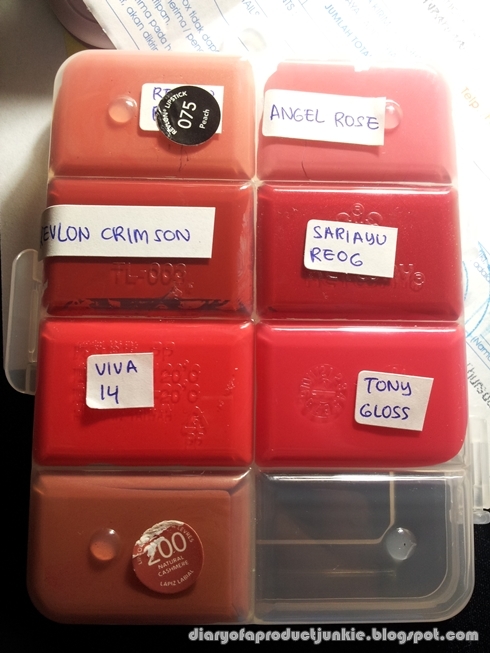 Wait for it to set, place a sticker underneath for easy naming, and you're done~! I hope you'll try out this DIY lipstick palette. 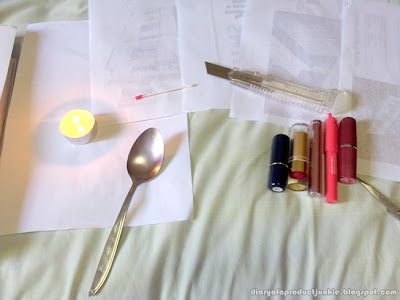 You can use a smaller medicine storage. It can be a little bit messy, but I think it is worth making it. baguus idenya, tpi sayang yaa lipstiknya jadi ancur -> liatnya ga tega.